The Ruby is our entry level photo booth with all the same software power and hardware as all our other photo booths. 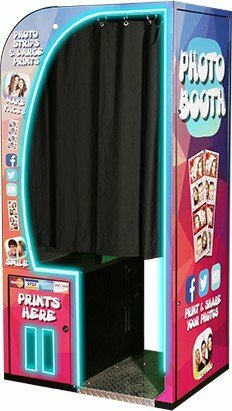 It provides a small footprint for space restricted locations looking for a traditional enclosed photo booth. Its solid steel cabinetry construction is built for the harshest customer abuse. 37.50″L x 28.50″W x 76.00″H x 477lbs.